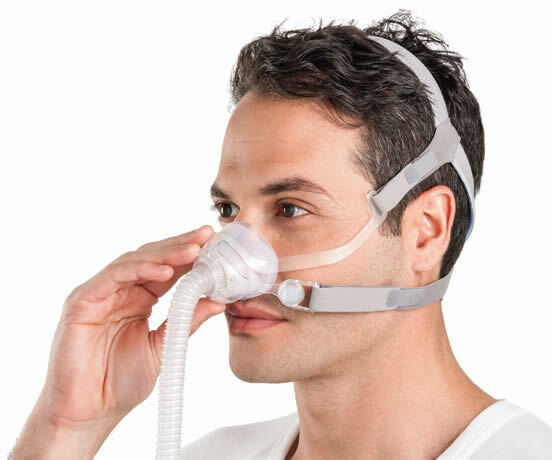 There’s a reason the ResMed AirFit™ N10 ranked as the first overall choice by patients when compared to industry-leading nasal masks.1 It raises the bar for compact nasal masks, delivering effortless performance, comfort and visual freedom, in a user-friendly design. The AirFit N10 offers unobtrusive support with a unique under-eye frame that gives patients a clear line of sight. And the modified dual-wall Spring Air™ cushion ensures a gentle and secure fit that delivers a comfortable, high-performance seal. 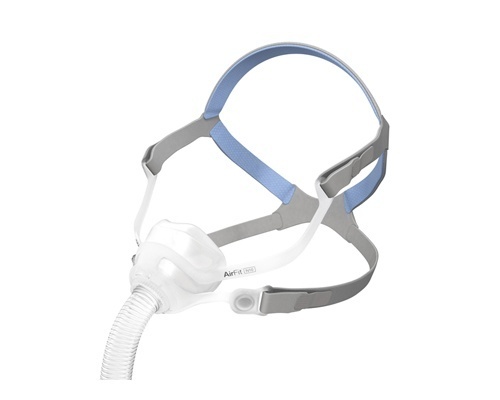 It’s also convenient to fit and for patients to wear, with EasyClick self-aligning headgear clips that make it simple to put on and take off. With minimal parts and an intuitive key-clip that connects the cushion to the frame, the AirFit N10 is easy to use and quickly reassembles after cleaning. EasyClick self-aligning headgear clips also make it simple to put on and take off. 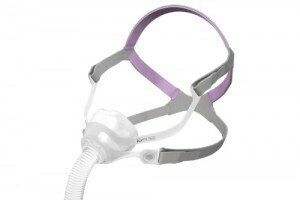 The modified dual-wall Spring Air™ cushion delivers a comfortable, high-performance seal that helps patients enjoy effective therapy, while the SoftEdge™ headgear features slimmed-down straps for greater comfort and fewer facial marks. Circular diffused venting gently directs exhaled air away for a peaceful sleeping environment. With a compact design and sleek frame that’s positioned underneath the eyes, the AirFit N10 provides unrestricted vision. Seal and stability come together to deliver optimal therapy. 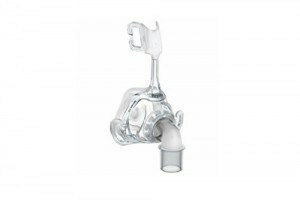 The modified dual-wall Spring Air cushion is designed to provide a comfortable seal as the patient moves during sleep. The lightweight, durable flexi-tube is integrated directly into the frame, so it easily accommodates 360° movement without compromising seal.